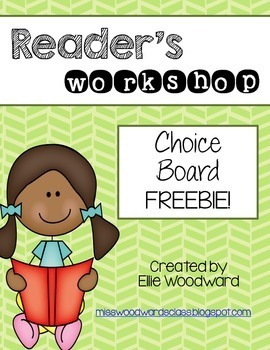 Reader's Workshop Choice Board FREEBIE! 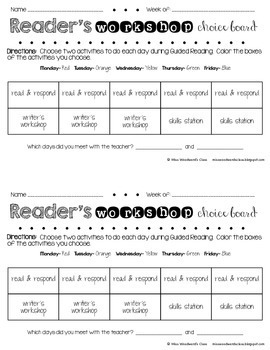 Do you do Reader's Workshop or Daily 5 in your classroom? 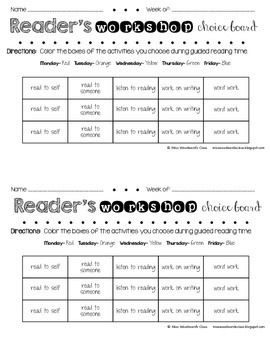 This choice board is the perfect way to track the activities your students do during the literacy block! 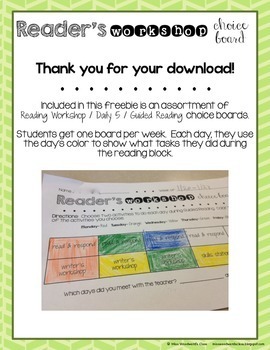 Included are 3 styles of choice boards to best suit your classroom needs. Students get one choice board per week, and use a different color each day to keep track of the tasks they complete.